Cut potatoes into wedges, place into a bowl, add oil, seasoning and toss until well coated. Place potato wedges onto a baking tray lined with baking paper and place into the oven. Bake for about 10-15 minutes depending on the size of your wedges, tossing occasionally. In the meantime boil the eggs until soft in the centre. 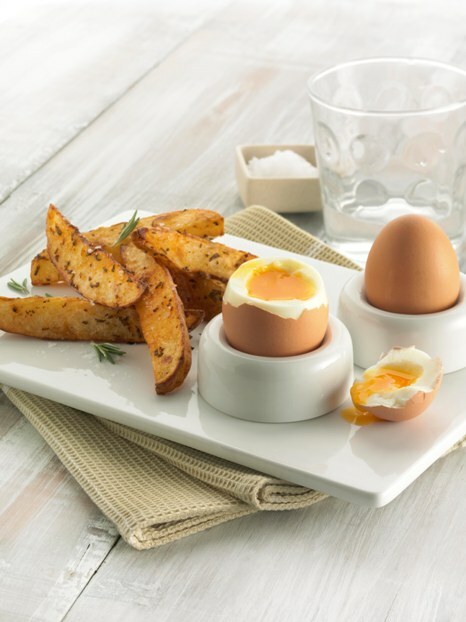 Place wedges on to a plate with the eggs, ready for dipping.